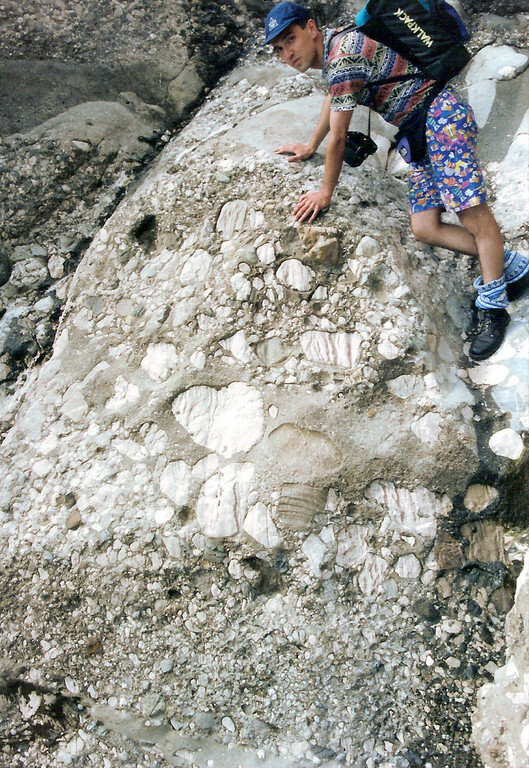 Originally these rocks were described as 'molasse' (one of those terms that probably were invented only to hide our ignorance about the relationships between mountain building and sedimentation), likely reflecting deposition in shallow marine environments. 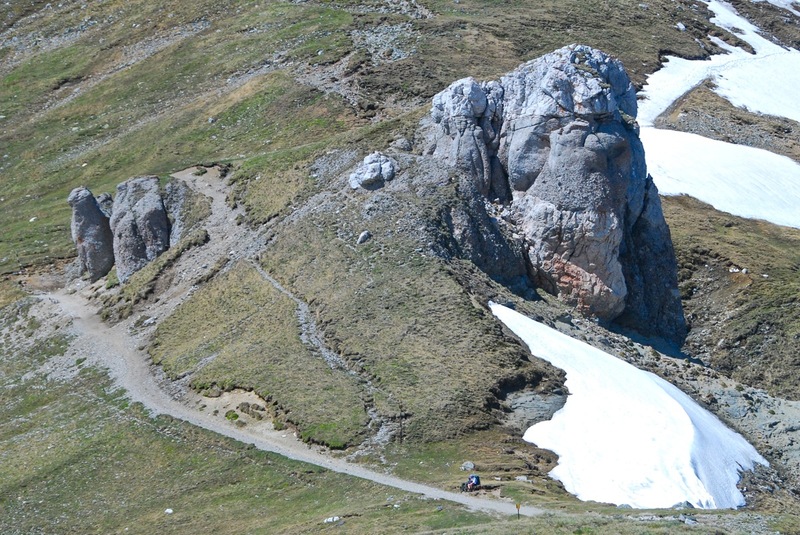 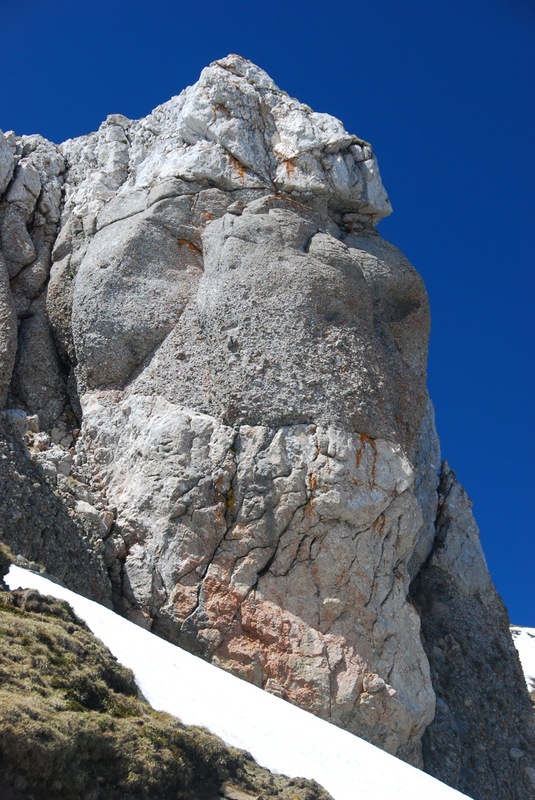 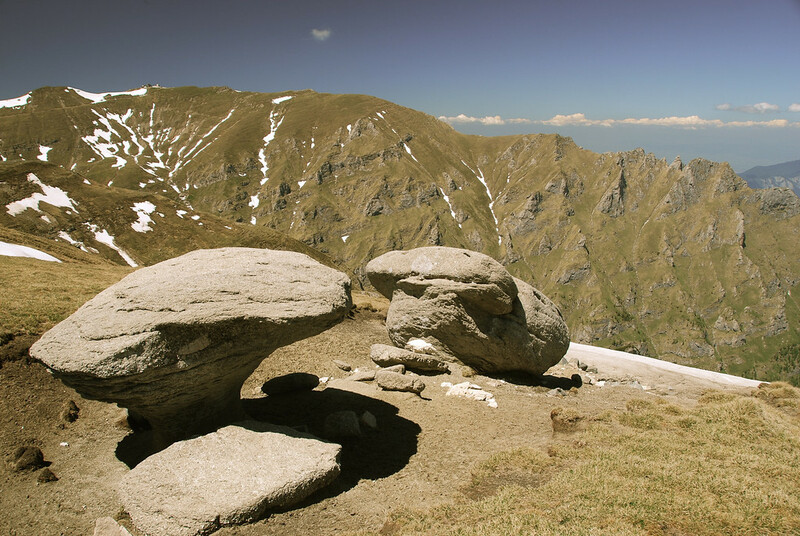 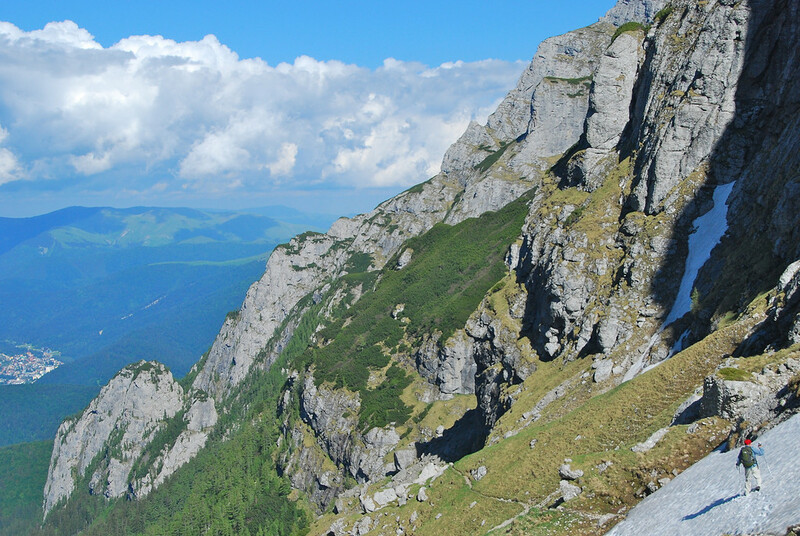 In the late seventies, when the idea that thick piles of coarse sediment could be of deep-marine origin was still big news in geology, the Bucegi Conglomerate actually made it onto the pages of Nature. 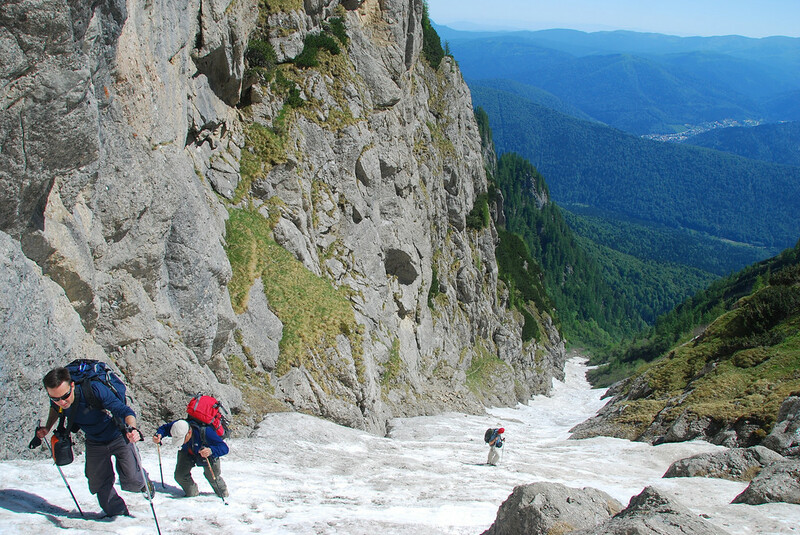 In any case, our hike in June was long and strenuous (see the map above), but the weather was outstanding and we had the whole mountain to ourselves: apart from the meteorologists at the Omu Peak, we haven't seen a human being while hiking.